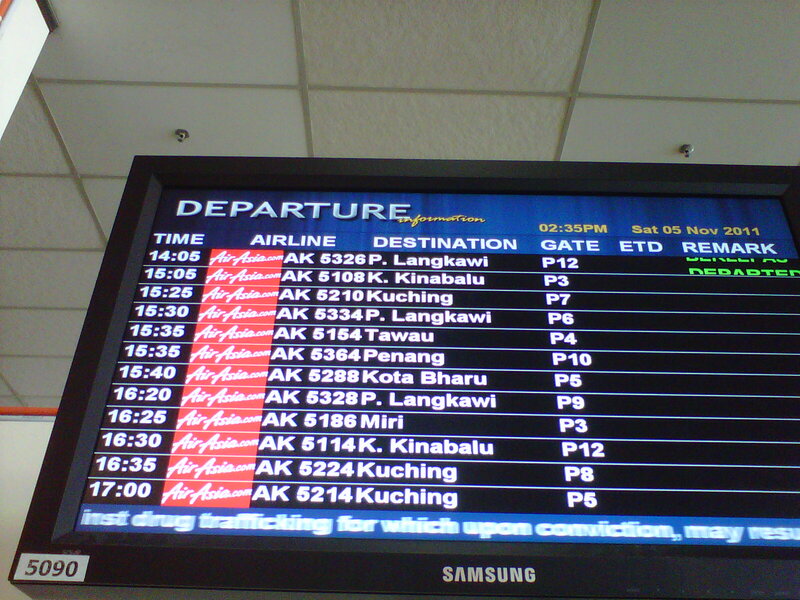 The last time I went to Kuching was in 2004 and it was for work. So, it doesn’t really count. You don’t really see much when you are on business travels. The only thing you see are office rooms, meeting hall, restaurants nearby the factories and the airports. Hence, I count this as my FIRST trip there. Hub and I are heading there to root for dear friends of ours. 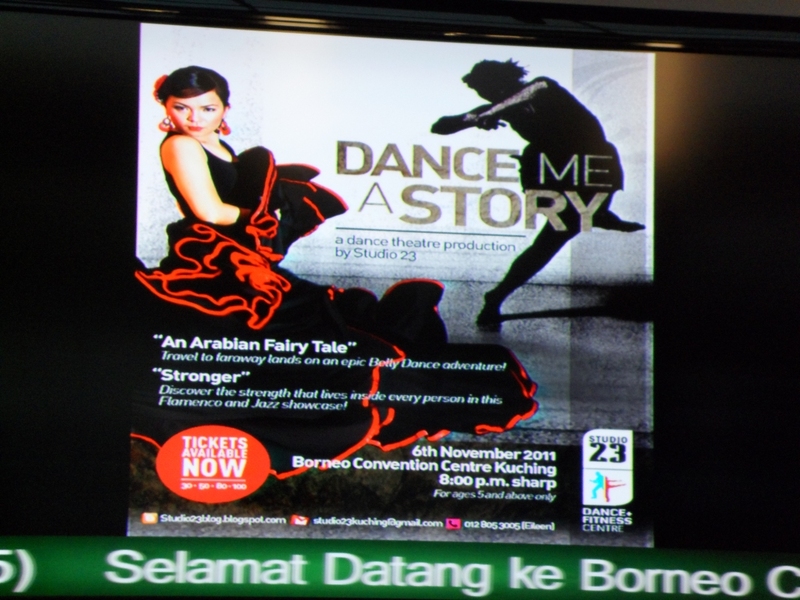 It was for a Dance production (Dance me a story) which was held in the Borneo Convention Centre. I can’t imagine the kind of stress both of them (husband and wife) must have faced in course of planning, coordinating and drafting the production. I’ll probably tear my hair out trying to organise where everyone should stand / how the lighting should be / what music to use and etc. The production was truly amazing (Big round of applause). Hub and I really enjoyed the show alot. The flight took about one hour 45 mins. We landed in the Kuching International airport and made our way to our friends’ place. The trip took about 15 mins (taxi was about RM 25). We later learn that to go anywhere in Kuching takes about 10~15 mins. Cab fare here seems a little steep. Every trip was hovering between RM 20-30. So, my advice is if you are planning to ran around, rent a car. It cost about RM 150-160 / day for a car (Which is about 3-4 return trip to wherever you are planning to go). A van is about RM 180-200 / day. Everything in at slower pace in Kuching compare to KL or PJ. The streets generally seem quite clear. So, it should not be too hard to drive around yourself. Our friend told us that it does have its share of traffic jams especially in the morning. 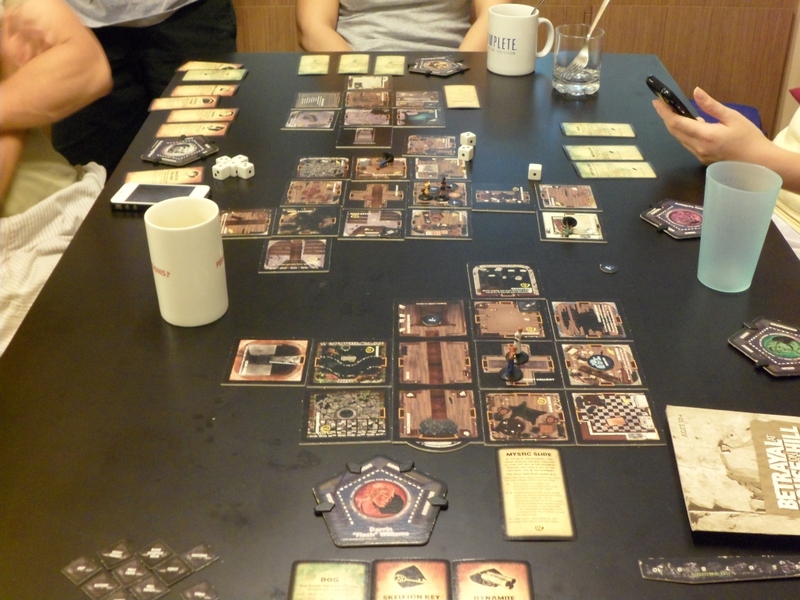 The best part of this trip is time spend playing boardgames. 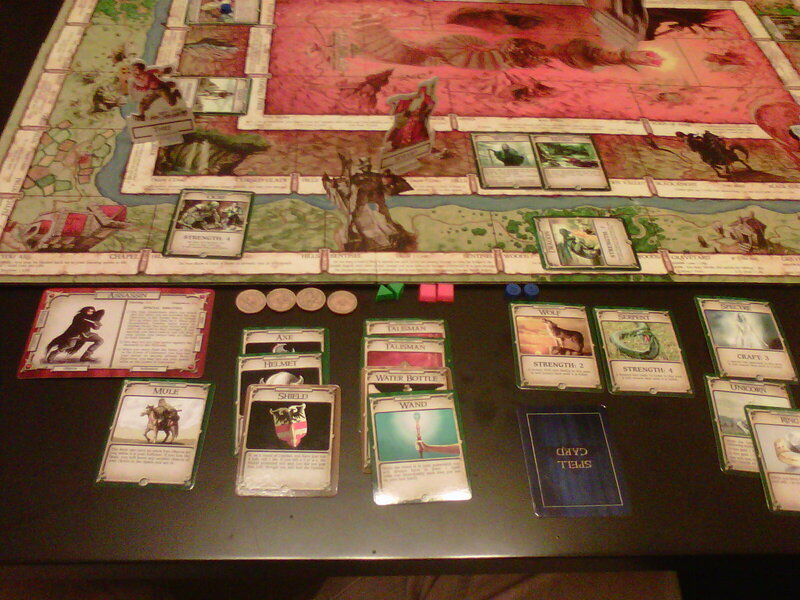 I played so much boardgames within the short span of 3 days, felt alittle overdosed. hahaha… we had so much laughter and fun while playing. Overall, hub and I had a great time chilling out in Kuching. 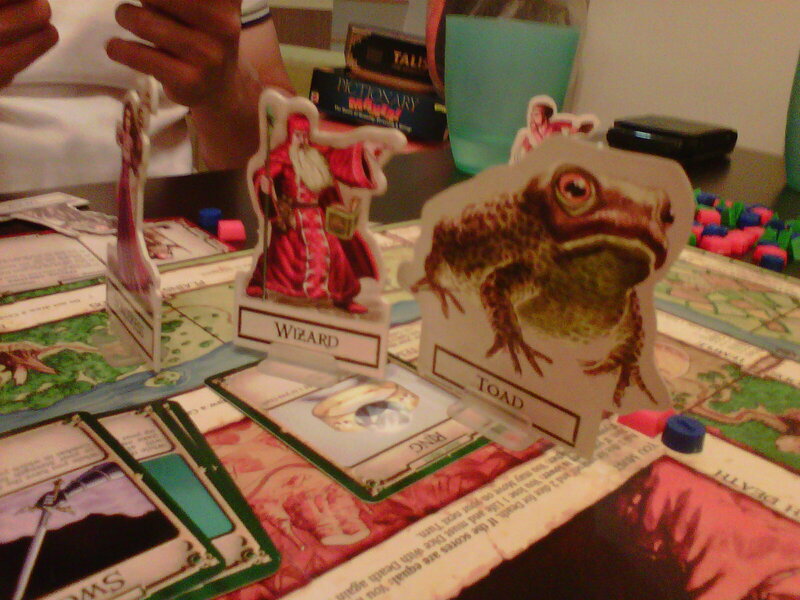 Playing boardgames till wee hours. Most of the time, I crashed by 2 or 3 AM. The rest only crawl to bed by 5-6 AM !! crazy kids. hahaa..
Food was great (will post about it in another post) and the company was irreplaceable. You guys rock ! Thanks again A & S for your warm hospitality and loaning us your beautiful home as our crash pad! What a mouthful for a hotel name but what a glorious and amazing hotel. 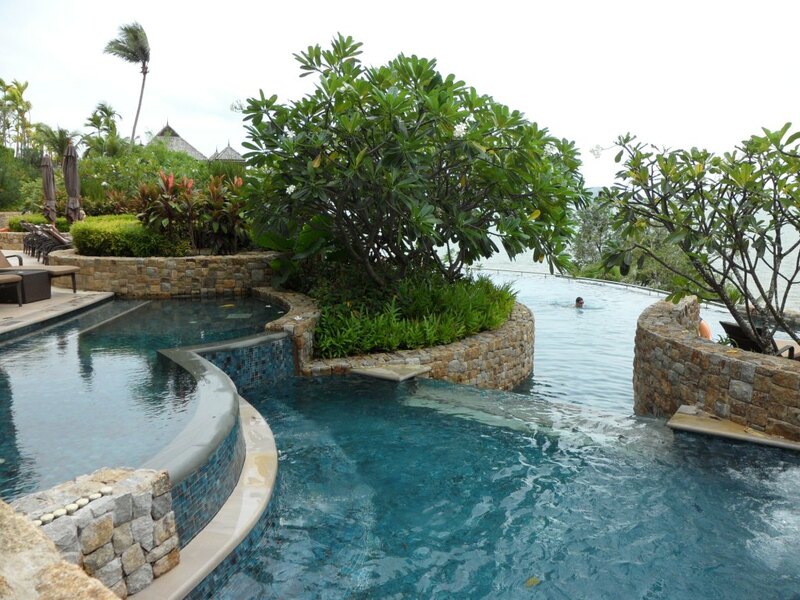 Hub and I sneak away to Phuket, Thailand for a little holiday last week – 5 days 4 nights of total relaxation and pampering. 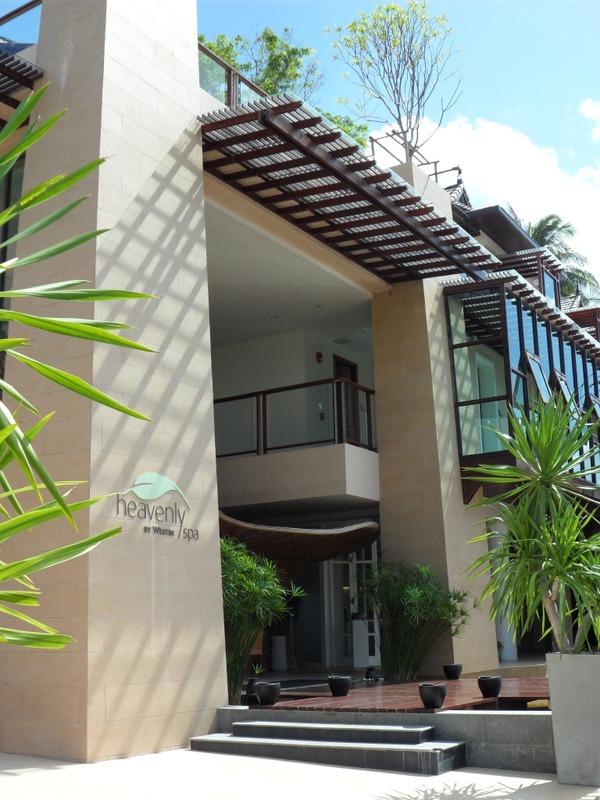 This hotel is actually located on an island call Siray that is connected by bridge to the main Phuket Island. 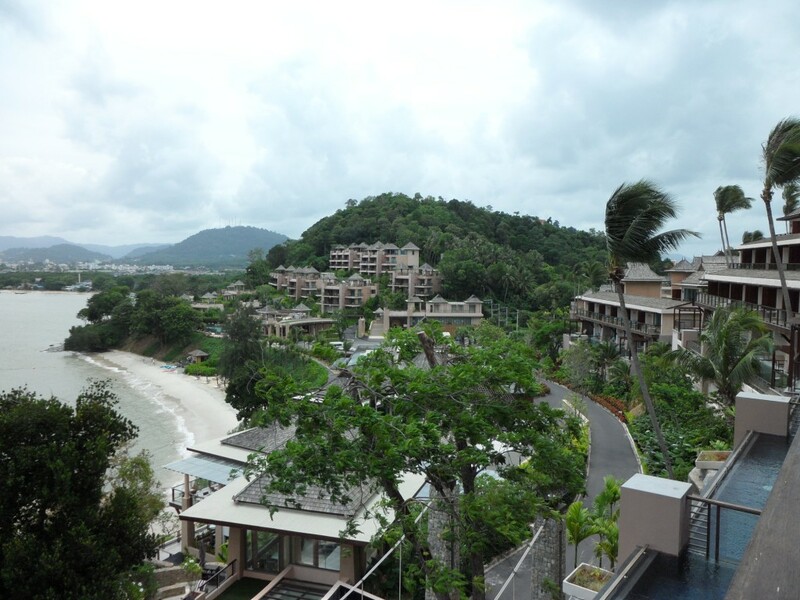 Hence, it is away from all the main activity area of Phuket town and also Patong beach. 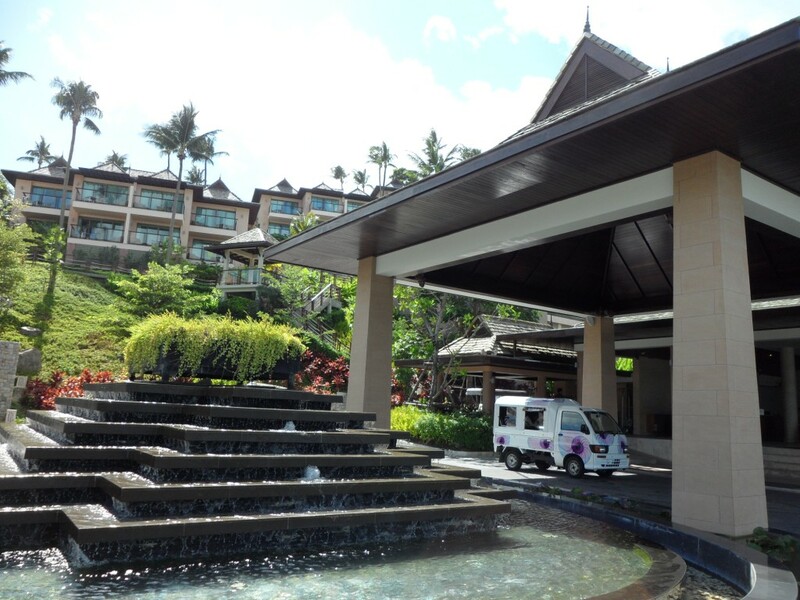 Stepping out from the Phuket airport, the heat and humid hit me instantly but was glad we were quickly ushered into a nice cold van. 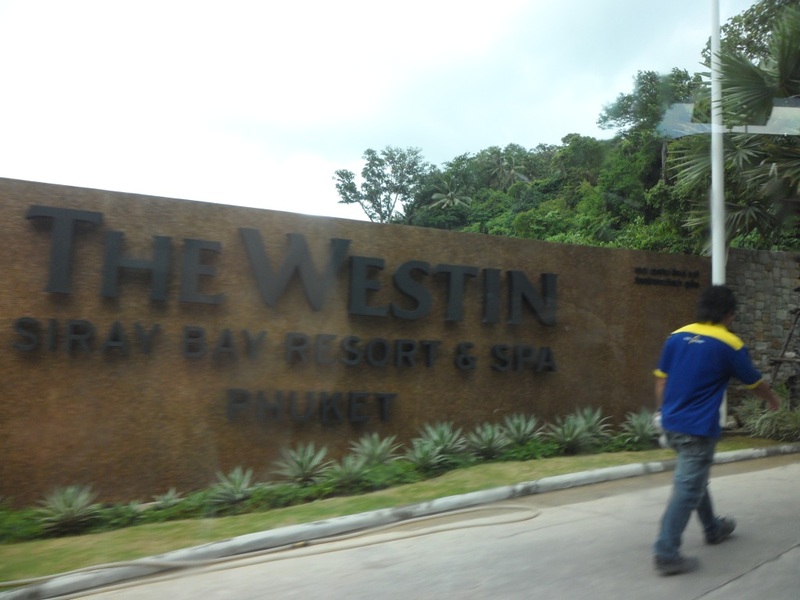 The drive from Phuket airport to this hotel is about 45-50 mins (depending on the traffic and your taxi driver). 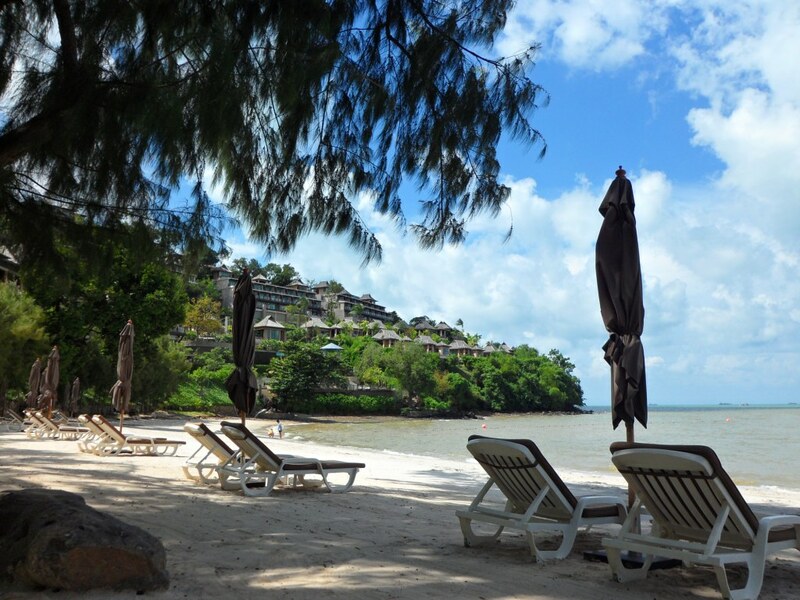 The hotel also offers a great selection of beach and water activities. Hub and I manage to squeeze in some time for kayaking. It was my first time and it was really scary. When the wave hit the kayak, I thought we would have flipped. Thankfully hub has some experience kayaking and he patiently teach me some tricks and helping me not to freak out. After 15-20 mins, I learn to relax and enjoy paddling. Hehehe..
Don’t worry about food as the hotel has 6 restaurants and bars. 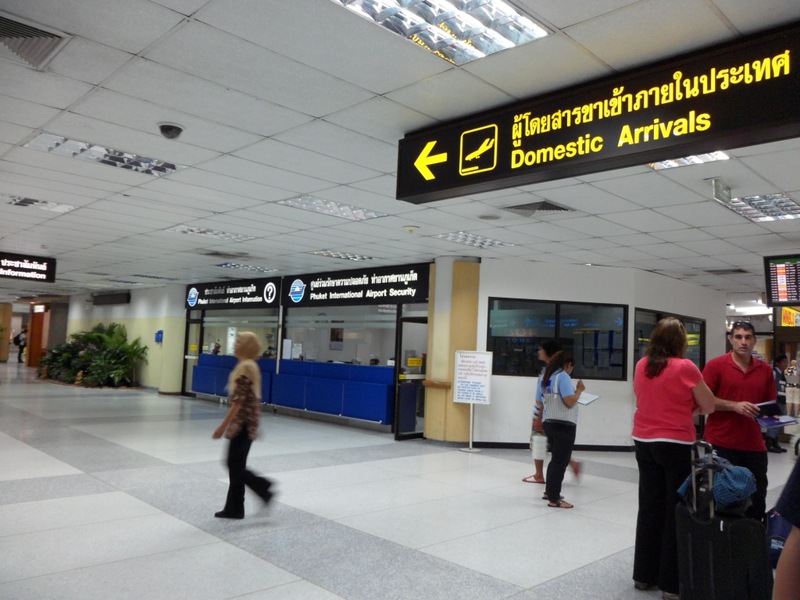 Or, you can easily hire a taxi to Phuket town (for 300 Baht) / van to fit 13 ppl (500 baht). Chulet very excited this morning. She will be heading for her first REAL long holiday after a long time. Previously, all traveling are mainly for work. So, it is not the same. This is FULL-on holiday !! Hallelujah !! 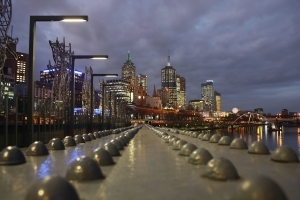 Melbourne here I come …!! At 8am, I rush of the work. (YES – i still have to work at least half-day today T__T). 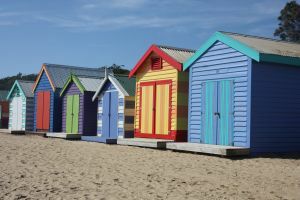 I was busy planning what me and hubs could do in Melbourne. And then, I started to realize many activity is out-of-question since (i just remember) my MOTHER-in-LAW will be with us in this trip. Well – to be fair, my mom will also be coming. So, no – it’s ain’t going to be just us two lovebirds. 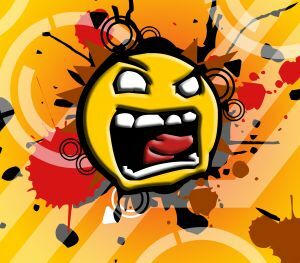 The thought of going off and facing my MIL for the whole 2 weeks is kinda freaking me out. I mean, I would wake up to see her right till the sun set ! Don’t get me wrong, she’s a sweet thing. Always ensuring others’ comfort and happiness above hers. But then, there are times when she gets a tad bit overprotective over her son / my hubs. (blehh…) But, to be fair, I think all mothers babied their son. I don’t met up with my MIL very often. Maybe 2-3 times a week. Hence, it has always been sweet and polite every time we meet (too civilize if you ask me ;p). well – there are a few things here and there which irks me.. but, it’s perfectly normal since no one can’t please everyone anyway… and we did have a very different upbringing (hubs and me). But, overall, she has been very kind and friendly to me. but then, You know how it is that you always put on your best behavior with strangers ? and only show your true color with family? So, you would understand why I am nervous. I hear so much horror MIL story . Do I finally get to learn the REAL person my MIL is? I guess I’ll never know until the trip. Our flight leave this evening… Wish me luck.